Wanting to travel through NZ by road? Then you will need one of the road atlases mentioned below. They are concise and lightweight giving detailed road information, town plans for the major cities and specific tourist destinations. 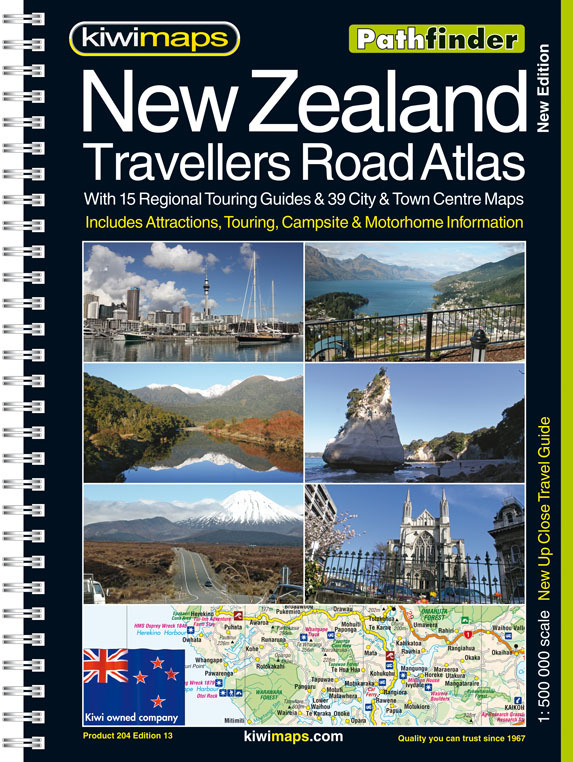 The New Zealand Touring Atlas is packed with information on highways and byways, all presented in the easy to read, easy to store format. It is A4 spiral bound, and includes GPS coordinates and pet friendly sites. 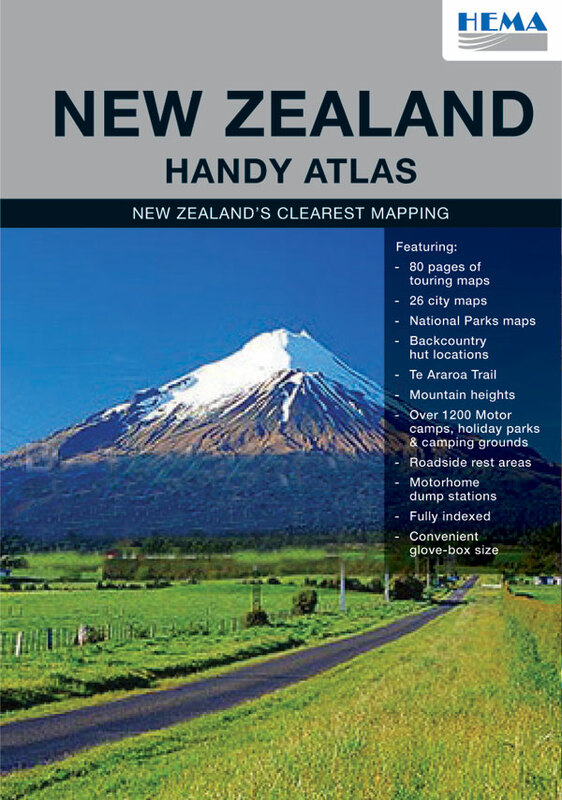 A small format atlas offering New Zealand mapping. 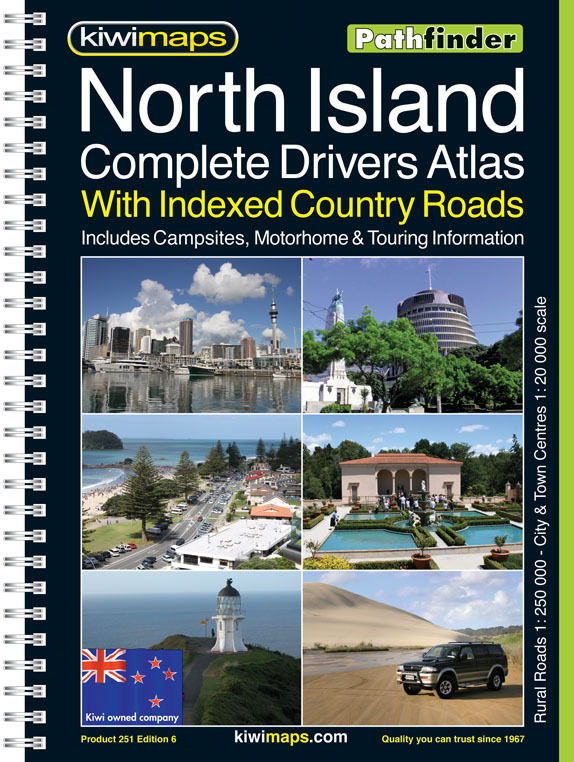 With over 100 detailed regional and city maps which feature hundreds of adventure activities plus over 300 motorhome parks and camping sites. 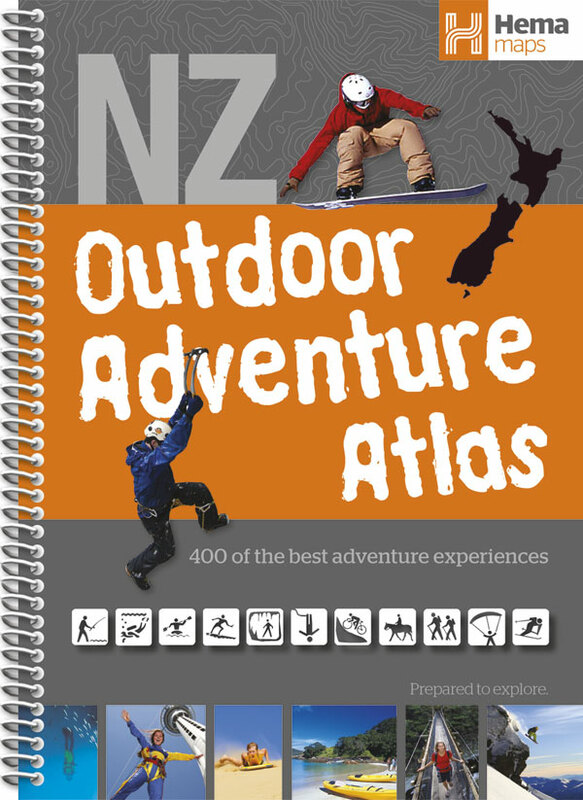 This is the perfect atlas for any adventure-activity enthusiasts looking for the highlights to experience in New Zealand. This guide helps you find the best places to enjoy all those well-known adrenaline activities like bungy jumping, zorbing, sky diving, as well more traditional adventure activities like tramping, diving, skiing and horse riding. This is a superb, easy-to-use road atlas. 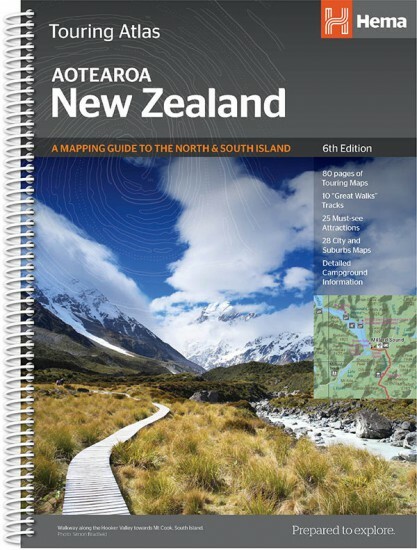 The principal mapping of the whole country covers 62 pages at the scale of 1:500,000, with 51 pages of full colour, high quality maps 30 pages of large scale North and South Island maps. It also has detailed regional touring maps of New Zealand's main tourist areas including as well as more detailed central city maps. 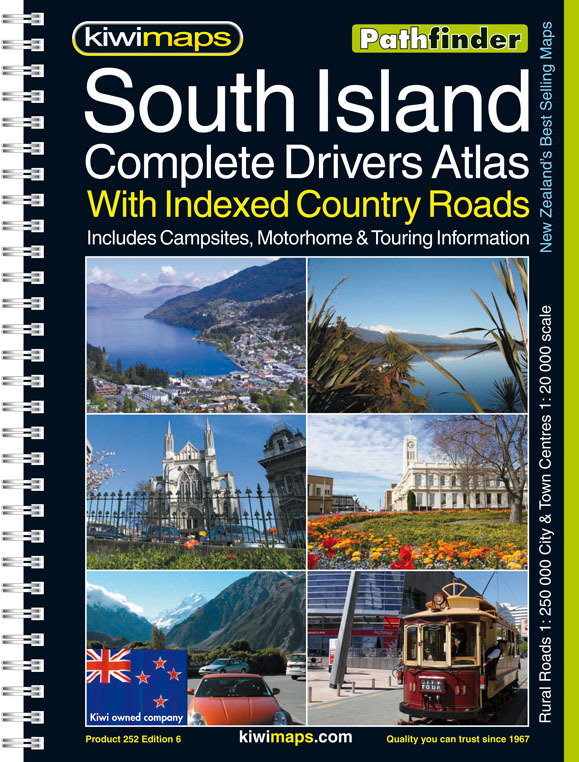 Compact road atlas for travellers around New Zealand. Includes 6 large scale regional touring maps and 9 city and town centre maps. State highways, regional roads and main routes are indicated, as are tourist and scenic highways. 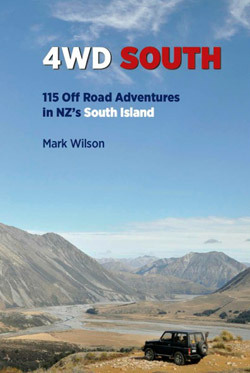 Brings together in one book the best routes the South Island has to offer. 115 off-road adventures designed to be used in conjunction with the Topo250 maps. New Zealand's most comprehensive road map of the North Island rural road network. New Zealand's most comprehensive map of the South Island rural road network.